I am so happy to be back in San Diego after a long weekend in San Jose. I flew to the bay area for a Medicare Part D/MTM event lead by the University of the Pacific School of Pharmacy. It was wonderful to see so many underserved Vietnamese seniors helped this weekend. The pharmacy students answered questions about Medicare benefits and switched many seniors to more affordable prescription drug plans. A good number of seniors came out despite the rain and some even took the bus to get to the event. It was definitely a worthwhile trip. I also got a chance to visit my parents and brought home some goodies. I immediately put my mom’s red beans to good use and made “che dau do” or Vietnamese red beans dessert. When I was little, my mom would take me to the supermarket, and we would stop by a street vendor for “che dau do”. 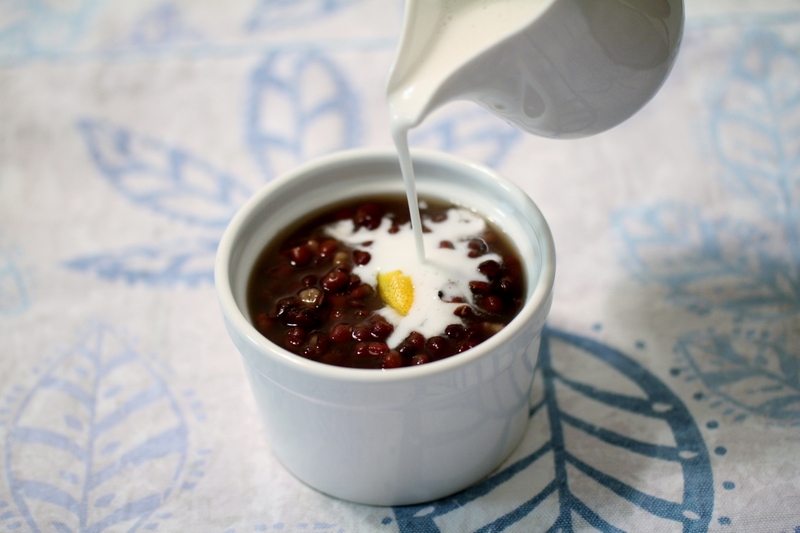 The beans are cooked for a long time and flavored with coconut milk, making it a very comforting dessert on a cold or rainy day. You can also eat it cold, but I prefer it hot, especially for a cold, rainy day like today. 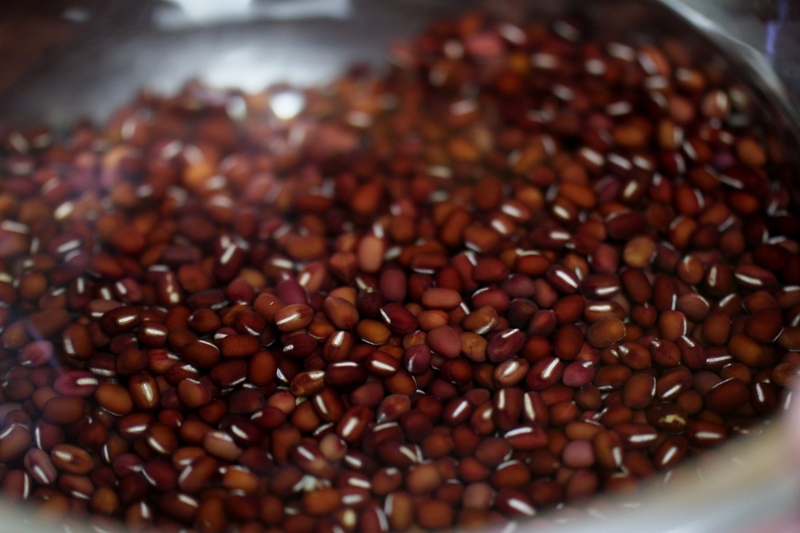 Soak the azuki beans in water overnight to soften. 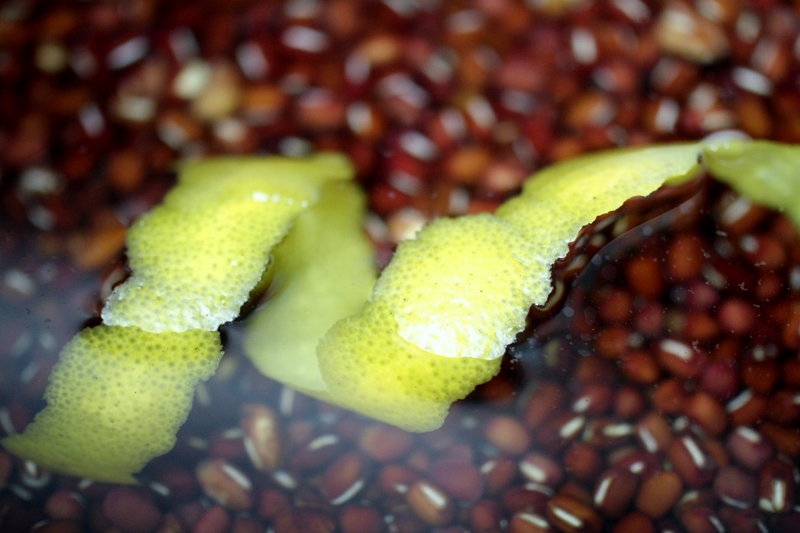 In a medium saucepan, bring the water and orange peel to a boil. 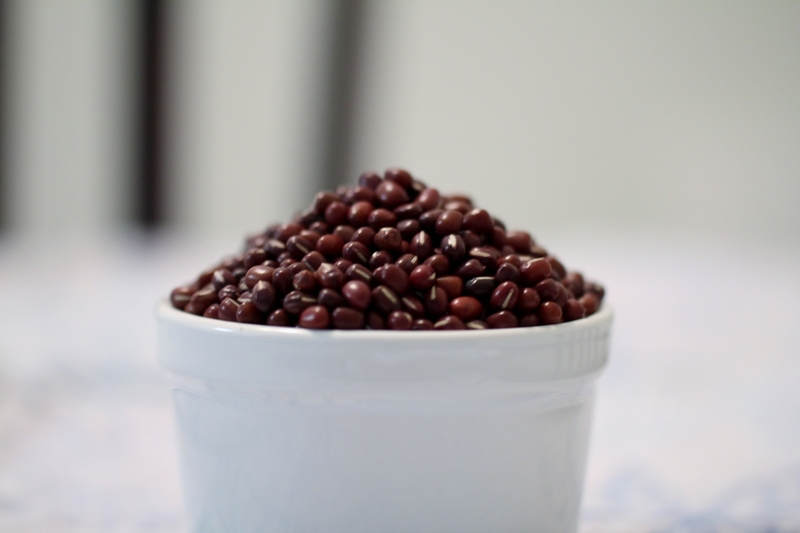 Turn the heat down, add the azuki beans and let simmer for 2-3 hours, until the beans are softened. Add the brown sugar and stir until dissolved.